Highly durable and tangle resistant. The Ernie Ball 1ft Patch Cable 3 Pack, Black is built to last thanks to its high-quality design and superior components. It stays untangled. 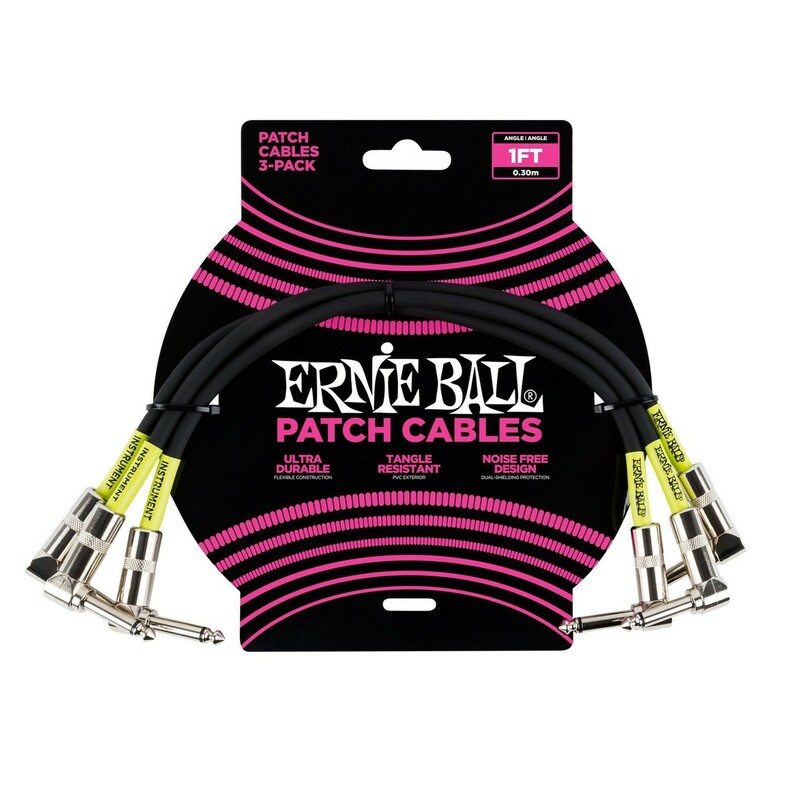 The Patch Cable is tangle resistant so you won't have to worry about it getting tangled in your pedalboard. You'll get clear tones every time. 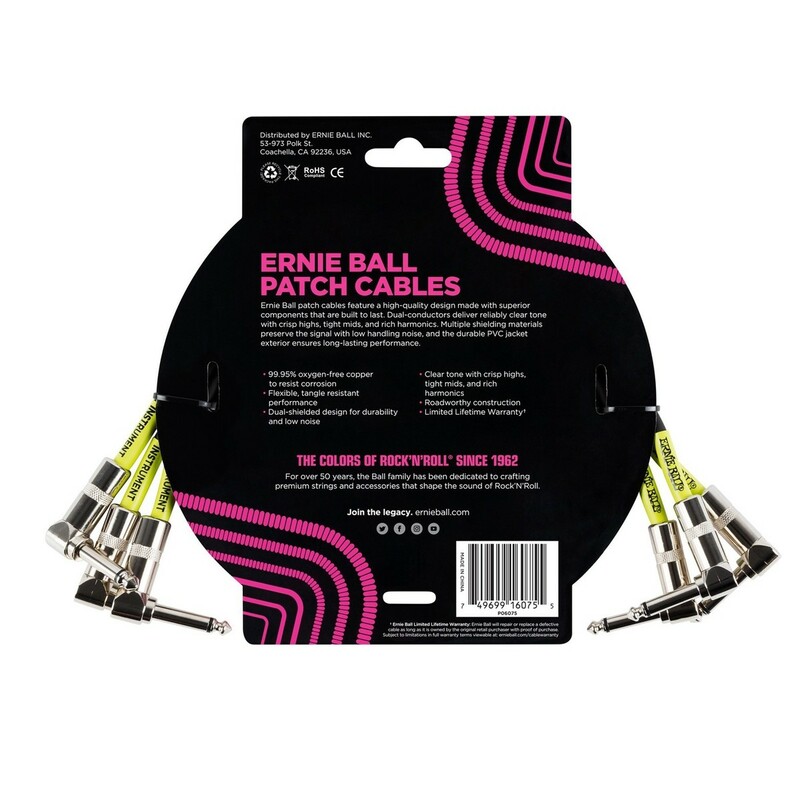 The cable is made to deliver a clear tone with crisp highs, tight mids and rich harmonics. Its dual-shielding protection also preserves the signal with low handling noise so your guitar sounds the best it can.